President Trump believes Helsinki was a great show: vintage Trump, celebrity actors, a world stage and nuclear holocaust at stake. But by the time he got Airforce One off the ground, the reviews came in and they weren’t good. They said he looked weak, he blamed his own country first, and he repeatedly praised the autocrat and sided with him against his own team. Trump was surprised at the sweeping, speedy chorus of boos. “Diplotainment” had worked so well in Singapore. 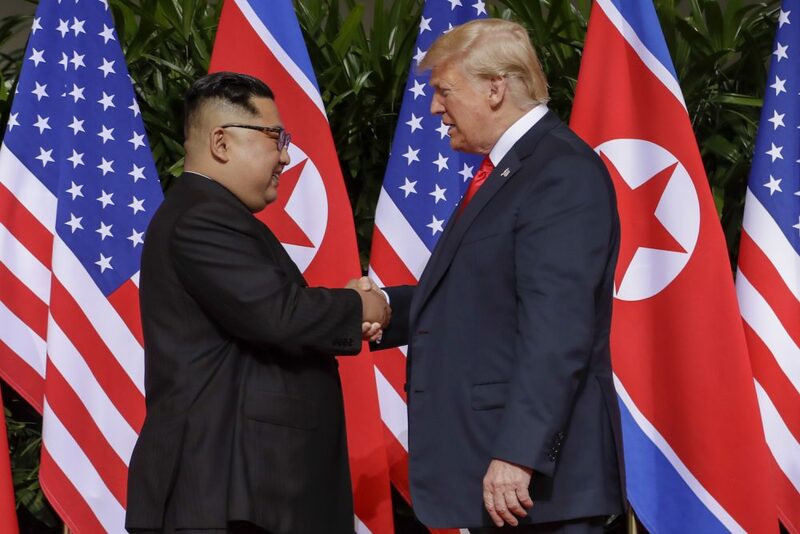 The script was to approach the event in a nonchalant fashion, hype the significance, then stage the handshake, the secret meeting, the press conference and rush to the airport to bask in the reviews. Unfortunately, after a few weeks, it became clear nothing significant will happen, without much arduous negotiation in a multitude of meetings, the end point and result undetermined. In Singapore, Kim Jong-un got his recognition as a world actor, he appeared reasonable, he gave up nothing discernable (the weak joint statement seemed to codify that), he improved his position with China and Russia, and he weakened the urgency of the sanctions regime. The next Russian summit, which was just wisely cancelled, was launched in the same pattern – no preparation and no coordination within the U.S. government. The difference between Kim Jong-un and Vladimir Putin is that Putin, wily tactician, is working every day to weaken and divide the democratic West. What the West needs is a negotiator who is worried less about reviews and more about the results. The disruptive policies of President Trump’s trade wars have finally caused the administration to react. A $12 billion bailout of farmers, which is being criticized as an admission of failure and 18 months of rhetoric, but no deals helped produce the at least minimal promise of more negotiations with the EU and less talk of it being a foe. The 2018 Dow and Trump have been remarkably resilient given the political disruption. 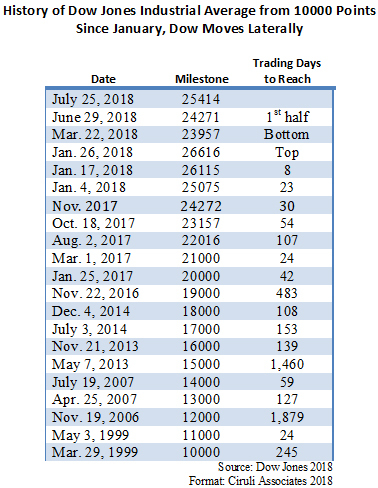 Good earnings reports have helped hold the Dow, with some wide swing in a range from 24000 to the low 25000 off the bottom of the year on March 22 of 23957, but well below the all-time Dow high of 26616 on January 26. Tariffs and trade wars haven’t caused panic, but are currently keeping a lid on investor confidence. But warning lights are flashing that inflation is looming, the expansion is nearing its end and a worldwide slowdown has begun. The U.S. Dow is up 1.4 points for the year, but the global Dow is down 1.6. The U.S. economy appears strong and remains at full capacity, but D.C. politics is volatile. The developing trade wars with most U.S. trading partners has only produced anecdotal stories of lost business and jobs, but the first appearance of data will clarify its cost. The President said: “Trade wars are good and easy to win” (3-8-18). Jamie Dimon doesn’t agree. In a CNN interview, he pointed out that the President’s team said: “There would be no retaliation. They’ve already been wrong.” Dimon believes another round of tariffs could reverse “some of the benefits you’ve seen in the economy.” He also said the business community wants NAFTA done. With tariffs getting labeled “job killers,” Trump revived his old argument that the Fed is the problem. During the 2016 campaign, he blamed Fed Chair Janet Yeller for low interest rates, which he claimed hurt savers (and helped Obama/Clinton have a strong economy), now he argues modest interest rate increases will cause bigger trade deficits and slow the economy (and hurt him in the midterm elections). There has been six quarter-point rate increases since Trump won in November 2016 from .75 percent to 2 percent now. Two percent is a low interest rate in the modern era. Although, the Fed rate was zero from 2008 to 2014, it averaged 3 percent the previous 8 years and from 1990 to 1999 averaged 5 percent. Having an independent Fed has been judged better for the long-term economy since before the Nixon presidency. This Fed is approaching a more normal interest rate that will constrain inflation and leave some room for stimulus if a recession develops. The Dow for now is holding, but Trump knows he’s in trouble as tariffs are producing more criticism than good news. The latest CBS national poll shows only 32 percent of Americans approved of President Trump’s handling of the Helsinki summit. That is an exceptionally poor rating for a major foreign policy performance (Washington Post poll – 33%). An even bigger problem for Trump is that only 68 percent of Republicans approved his performance (66% in Washington Post poll). The history of Trump’s controversies suggests his approval rating won’t be affected, but the worldwide media coverage was significant and the broad judgement that his performance was weak may produce a longer-term effect. 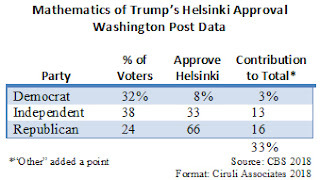 Trump’s overall approval depends on about 85 percent of Republicans (87% in Washington Post poll), so Helsinki’s 68 percent is a loss of about 20 points of support, or about a fifth of self-identified Republican partisans. This drop-off highlights two facts. First, there are Republicans who can be persuaded to withdrawal approval of Trump’s behavior. Second, the Republican label is held by a variety of partisan groupings, including evangelicals, Tea Party, old-line establishment, forever Trump and never Trump to just name a few. For some, affection for Trump is primarily a policy preference (tax cuts, Supreme Court appointments) and an aversion to the alternative (Hillary Clinton most recently). As the Helsinki approval table below (from Washington Post data) shows, Republicans only represent about a quarter of the electorate and Trump can ill-afford to lose any. Other polls that show lower percentages of independents and more Republicans still require super majorities of Republicans approving Trump to maintain his anemic approval rating of 42 to 45 percent. A recent Reuters/Ipsos poll graphically shows the Republicans’ vulnerability to Trump’s periodic missteps. Out of the 82 percent Republican support, they record 50 percent “strong” approval, but 32 percent “somewhat” approve (note: another 3% “lean toward” approval). Nearly two-fifths of the party is weakly attached to Trump. Those are the voters who could stay home or walk away from the party. Colorado’s politics in 2018 are little different from the country. Voters are divided dramatically along great fault lines of gender, age, race and party. A recent PPP poll of President Donald Trump’s Colorado approval rating highlights those gaps in public opinion. In the end of June poll, Trump had a 44 percent approval and 52 percent disapproval. As the table below shows, it is polarized along the fault lines of age, gender, race and party. All of these gaps have been long documented in American politics, but each has become more pronounced, especially in the Trump era. Party with a 68 percent difference is the most profound, with few partisans in the other party (Democrats) offering approval (12%). Republicans continue to approve of Trump at very high levels (80%). Although, an 18 percent disapproval among Republicans should be worrisome for the party. The race/ethnic gap has been a fixture of U.S. politics since the 1960s, but the Hispanic/Latino community has only in more recent years become hyper-polarized. Trump, of course, has made ethnicity a repeated campaign issue from the day he announced to his most recent border policies. Only 15 percent of Hispanics/Latinos approve of Trump versus 50 percent of Whites. The sample did not have sufficient African Americans to make an observation, but national polls show their profound polarization. Recent studies have cited gender polarization at all-time highs, and the 21 percent difference in Colorado is high. Only a third of women approve of Trump’s job performance, but more than half of men do (55%). Finally, the age polarization between Millennials and seniors is dramatic. Trump draws support from older voters (50% approval), but has little from voters 29 years old and younger (only 31% approval), a 19 percent gap. When asked, Bruce Benson thought he was probably the oldest college president working today. When he started his job ten years ago, he was among less than 5 percent of college presidents 70 years of age. Now, he’s among 11 percent. The job is tough, and colleges try to keep their successful presidents. Benson also represented the trend of non-academic college leaders skilled in state politics and fundraising. Benson decided after 10 successful years to retire. CU has had an astonishing run under his decade of leadership. New buildings flood the four campuses. The Anschutz Center has become the tech center (bio) of north Aurora. 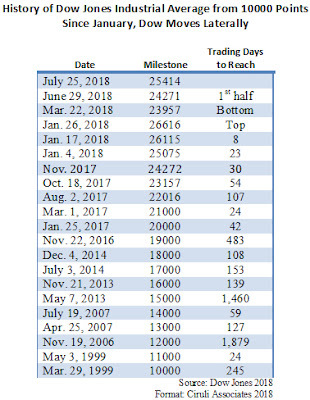 In a blog posted in January, I noted he had hit his second five-year mark and hadn’t slowed down. From 300,000 Twitter followers, to prodigious fundraising (a Benson specialty), he kept up the pace. Benson’s energy calls to mind another hardworking Coloradan. His old political rival Roy Romer. 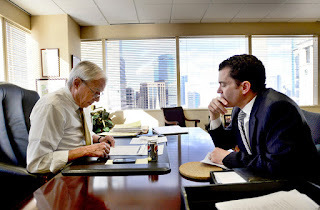 Romer was 70 when he took over Los Angeles Unified School District, a seemingly impossible job, which after six years, he also received wide acclaim. The two of them made 70 look like the new 50. Benson mentioned his wife, Marcy, in his retirement letter. She has been his partner and handles a host of causes herself. Colorado and CU has been very fortunate to have the energy of the Bensons. Good luck on your next project, Bruce. 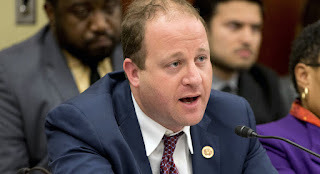 Although, as Julie Turkewitz reported in the New York Times shortly before the primary, the question is “just how far left this frontier state wants to go,” Jared Polis, the perceived “far left” Democratic nominee, begins his campaign in a good position. He is running in a state that has moved left the last decade, in a year Democratic enthusiasm is high and against a Republican nominee burdened with an unpopular president. Polis’ campaign proposals are expensive and his 10 years in Congress will provide a wealth of information for opposition research. So, a tough, in the trenches campaign can be expected, but as reported in this blogsite, The Buzz, the voter registration, party enthusiasm and presidential approval favor the Democrats. Republicans have lost a 160,000-voter registration advantage in 2000 and are now behind Democrats by 19,000. FOX News reports nationally Democrats’ enthusiasm to vote in November is 9 points higher than Republicans (51% to 42%). The generic ballot is 8 points in the Democrats’ favor. President Trump has a net 13 points negative approval (42% to 55%) in Colorado, a 17-point drop since January 2017. Voting for and against Trump is a major factor in midterm election voting. The most recent primary election had Democrats turning out 54,000 more voters and receiving 65,000 more unaffiliated voter participants (total 119,000 more Democratic voters). Finally, a Democratic Party sponsored poll by PPP (reputable robo polling firm) reported Polis with a 7-point lead over Walker Stapleton (47% to 40%). Too early to define the race, but another data point is the Democrats’ starting advantage. Polis has never had a competitive general election where his reputation, political record and platform are truly tested. In spite of the Democrats’ 2018 advantage, Colorado remains a state with persuadable voters. Can the Republicans mount a campaign that makes the governor’s race competitive? Wellington Webb, 77, described his life and philosophy in a long Colorado Politics profile by Ernest Luning. Webb, a tall, thin kid from Northeast Denver, always played above expectations. 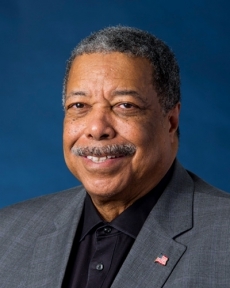 In his two toughest elections against Norm Early for mayor (1991) and Mary DeGroot for re-election (1995), he came from behind and beat the odds. One of his best assets was a great smile with an even public temperament. Webb puts people at ease, even while he’s promoting his loyal Democratic agenda and progressive politics. Denver has been gifted with a long run of progressive, but pragmatic mayors, who, starting with Federico Peña in 1983, have used Denver’s landlocked but considerable assets to overcome white flight, old infrastructure and weak economies that have damaged so many core cities. Webb inherited a new airport that he finished and opened. He managed the planning of Lowry and Stapleton, and most importantly, he vigorously promoted the Central Platte redevelopment with residential, commercial, recreation and just relaxing open space. These are major legacy projects. The latest Morning Consult state-by-state poll (online) shows President Trump 13 points into negative territory in Colorado. During a KOA interview with Marty Lenz and April Zesbaugh, we discussed how Colorado stands out in the Mountain and High Plains as Trump’s worst state. Trump is a plus 2 points in Arizona, 3 points in Montana and 8 points in Kansas. Marty inquired if Trump had improved anywhere since his inauguration. The poll points out he’s declined in every state. His national approval vs. disapproval is now a negative 10 points. Trump’s 42 percent approval and 55 percent disapproval will be a major disability for Republicans in Colorado at the midterm elections. April asked why Colorado seems to be so different. I pointed out that much of our recent growth has been young people. Democrats now have a registration advantage of 20,000. Notice that the state’s top Republican politicians are putting some distance between themselves and Trump, especially on trade and Russia. Beyond the Base. What Do We Know About the Unaffiliated Voters? Colorado’s two main parties are within a few thousand registered voters of each other. In an off-year election. Republicans typically have higher turnout, but this off-year election appears to benefit Democrats in its anti-President Trump passion. The largest bloc of voters in Colorado is unaffiliated. Neither party can win without them, so how they break between the two parties will likely decide the election. Two recent voter polls – one done before the June 26 primary and one robo poll done immediately after – seem to give the Democrats a 5-point or more overall advantage and an even larger one with unaffiliated voters. 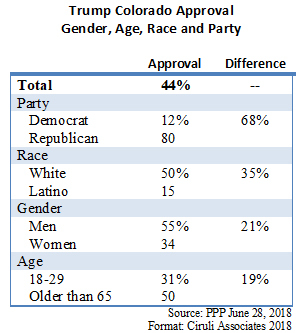 Trump’s favorability and approval is low among unaffiliated voters in both Kent Thiry’s Let Colorado Vote and the Democratic Party’s PPP poll. Trump nationally has about a 40 to 45 percent approval and 50 to 55 percent disapproval. His unfavorability is similar. In the PPP survey, it appears Colorado unaffiliated voters are at the low end of the range. The Let Colorado Vote poll had unaffiliated voters substantially more critical of Trump. In both surveys, Republican Walker Stapleton is behind. The Let Colorado Vote poll only measured favorability and has an unusually large difference between the two candidates. 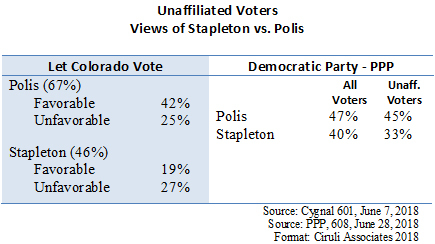 Note that Polis is known by 67 percent of the voters and Stapleton by less than half (46%). In the PPP poll, Republicans start about 7 points behind. The unaffiliated spread of 12 points is a serious problem for Republicans. It may reflect the flood of new, younger, liberal-leaning voters who rule the electorate who have chosen the unaffiliated label. 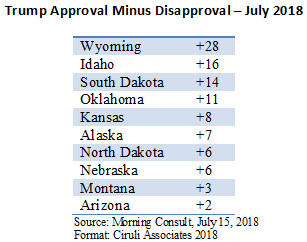 The latest Morning Consult state-by-state presidential approval ratings are out and show a 17-point drop in President Trump’s approval in Colorado since his inauguration in January 2017 through July 2018, with a 13-point negative approval today. Trump is nearly at the national average in Colorado with an approval of 42 percent. He has a slightly higher disapproval at 55 percent than the national average of 53%. Trump has dropped in approval in every state in the union since January 2017, but he still has a positive net popularity in many states, including many Mountain and High Plains states. Although the election is more than three months away, midterm elections tend to be about voting against, not for things, and Trump will be the issue in all federal races and probably in many state elections. With a negative 13-point rating, Trump is unlikely to be of much help to Colorado Republican candidates in competitive races. In an analysis by election expert, Rhodes Cook, for Virginia Professor Larry Sabato’s Crystal Ball report (July 12, 2018), Democrats now have a 12 million-vote advantage in the 31 states that register voters by party. Current vote percentages are 40 percent Democrat, 29 percent Republican and 28 percent independent. The shift since 2000 in registration has been toward independents, with both Democrats and Republicans losing adherents. Colorado’s registration trends since 2000 show Republicans losing the advantage of 160,000 voters to Democrats, who are now ahead by 19,000. Again, independent registration is now the largest, surpassing both parties with nearly a 200,000 registrant advantage over Democrats. The Republicans had a 176,000-registration advantage in the George W. Bush reelection year of 2004, but since 2008, Democrats and unaffiliated voters have prospered. Although the Republican registration advantage has disappeared, the difference between the parties is slight. Cook points out that in state-level analyses, about 70 percent of the time, the party dominant in registration wins the electoral vote. But, Donald Trump produced a number of anomalies where he won in spite of a Democratic registration advantage, including Florida, North Carolina and Pennsylvania. He won the Pennsylvania of Colorado, Pueblo County, by 390 votes in spite of a 15,000-vote Democratic registration advantage. 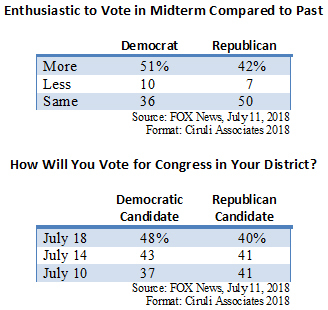 A new FOX News poll shows a Democratic advantage in voter enthusiasm for the November election. The poll aligns with the RealClearPolitics 8-point spread Democrats have today in the generic ballot test. This is mostly based on an anti-Trump sentiment because when asked if the Democratic Party has a “clear plan for the country,” only 31 percent of public said yes. Republicans get 38 percent for having a plan (49% of Democratic partisans and 65% of Republican partisans thought their party had a plan). 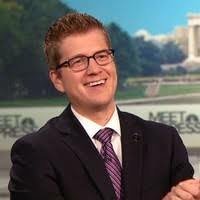 Brandon Rittiman, 9NEWS ace political reporter, has decamped for a Sacramento station, ABC10, his home state. He gave politics a dose of truth in his Truth Test; hosted the Sunday morning Balance of Power; and with Kyle Clark, moderated some of Colorado’s most informative debates. Good luck in California. Lots of political news there. Can the Democrats Win the House? The Democrats need to win 23 seats to take the U.S. House of Representatives. The midterm elections should be a good year for Democrats, but 23 seats is a substantial number, given the small number of swing districts and the fierce battle that is expected. Professor Larry Sabato’s Crystal Ball suggests it’s a 50-50 toss-up that the Democrats can get the 23 seats they need. Sabato claims Democrats have 199 seats safe or leaning toward them, and Republicans similarly have 208. Hence, out of the 28 identified toss-up seats, they need, 68 percent, or 19, to get to 218 – a high percentage, but possible. In an interesting presentation at the University of Denver sponsored by WorldDenver and the Latino Leadership Institute and moderated by former Senator Tom Daschle, it was observed that President Trump has divided America and united Mexico. They believed, due to Trump, America has lost its moral authority to call governments or others to account for corruption, conflict of interest or human rights violations. 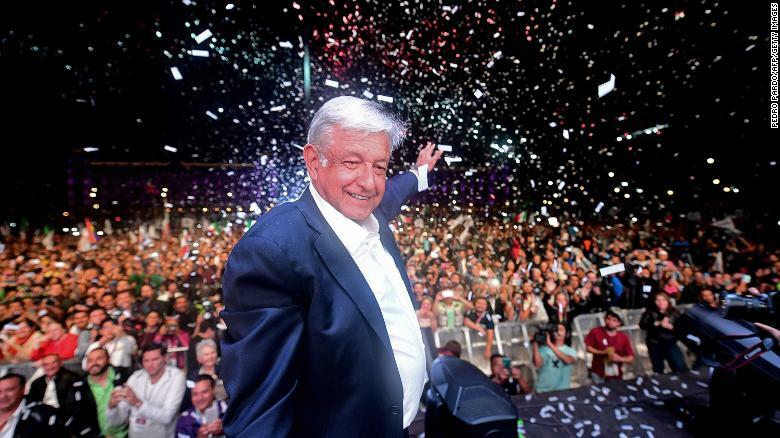 The discussants speculated Trump and the new Mexican President Andrés Manuel López Obrador (AMLO) would likely end up in a confrontation, although they have started off on a positive note. I disagree. Although each president may criticize the other, mostly for domestic consumption, they are, in fact, similar in a variety of ways. They are both nationalists and primarily interested in domestic issues, especially their respective economies. Trump and AMLO share a desire to raise Mexican worker wages. Trump’s interest is to create a disincentive for jobs to move to Mexico. AMLO is likely to intervene in the economy as vigorously as Trump. 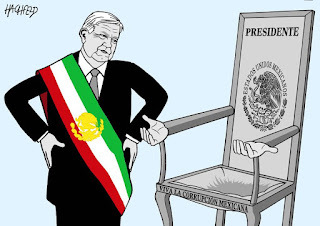 AMLO’s super majority makes him a strong man with an authoritarian attitude. Trump’s favorite leader. They both salute sovereignty and are unlikely to have a great deal of interest in other countries (e.g., Venezuela) or each other concerning “internal matters,” such as human rights. My prediction is Mexico will ignore much of the bluster from D.C. and will instead work hard to maintain the positive economic aspects of the relationship. However, security issues, especially related to drugs, human trafficking and immigration, will likely remain the hot spots. One note: The election devastated the PRI, the old historic governing party. It may not revive. MORENA, AMLO’s party, inherited many of the PRI voters and interest groups. 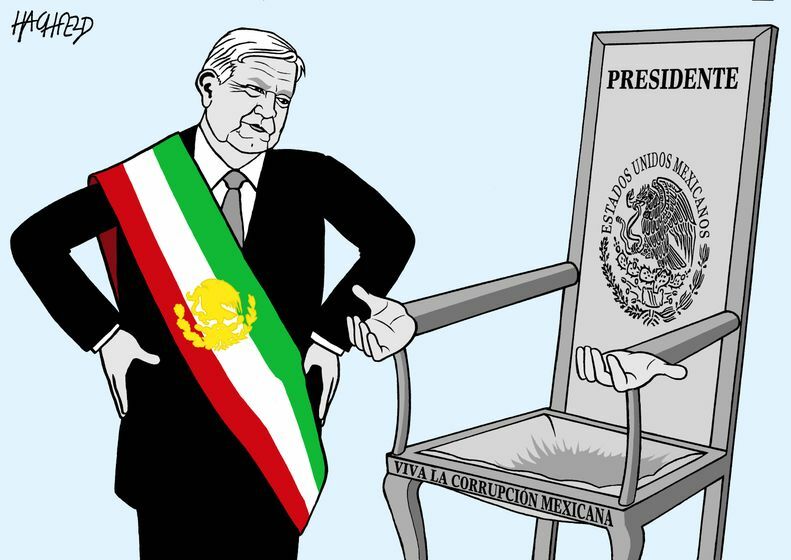 The PRI is the heart of Mexican clientelism and government corruption. How does AMLO stop the corruption when he and his party have become the boss? I have been predicting that Nancy Pelosi would retire from the leadership of the House Democrats since 2010 when they lost their majority. She doesn’t listen to me. But finally, it appears her time has run out. 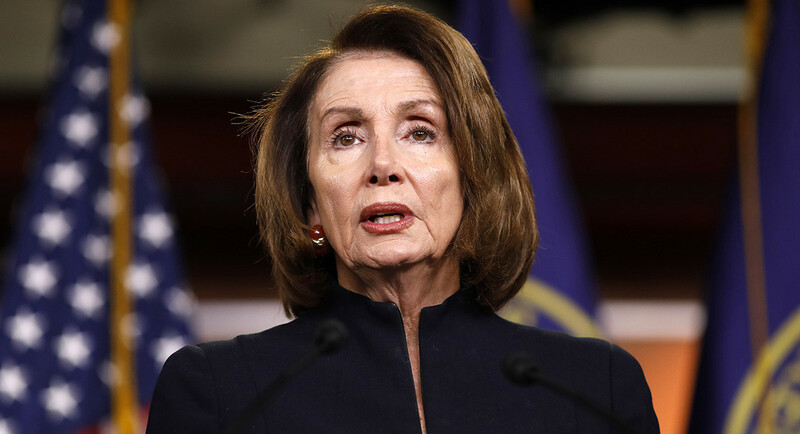 After serving the national Democrats since the 1970s and as the Democratic House leader since 2003, RealClearPolitics reports she doesn’t have the votes to win the Speakership or even Minority Leader again. The most telling statistic was that 24 new Democratic candidates were refusing to back her if they win, which reinforces a NBC/WSJ poll that reported the two highest priorities of Democratic voters for a candidate were restraining President Trump and not supporting Pelosi. Pelosi has fought back opposition before and as recently as 2016, but this challenge is deeper and broader and appears politically fatal. Another Educational Tax Proposal – Better Chance Than 2013? In ChalkBeat, the highly rated online education news source, Erica Meltzer reported on the fast signature collection efforts of the state’s public education establishment for their $1.6 billion tax increase initiative. The teachers union and its allies turned in 170,000 signatures July 11, following the new rules governing constitutional amendments requiring signatures from voters in each of the 35 state senate districts. They need 98,472 valid signatures. They claim to have collected 65 percent with volunteers. They paid circulators for the remaining 70,000. The initiative will have to get 55 percent support from the voters to pass under the new rules. With a poorly designed and positioned initiative, a $1 billion tax lost 2-to-1 in 2013, even after an $11 million campaign. Does this effort have a better chance? My view was yes, but it is still an uphill battle. Democratic candidates will have to take a position on a very complex and expensive ballot initiative. Sign up and be accused of tax and spend or don't and anger the union and its friends. Forty-five years after Roe v. Wade was decided, the correctness of the decision is still being argued and its fate endangered by President Trump’s latest Supreme Court pick. As Peter Roper points out in his Pueblo Chieftain article (7-11-18), Colorado voters have rejected a “personhood” amendment three times. It was interpreted as a ban and an effort to get a case before the Supreme Court to reverse Roe v. Wade. 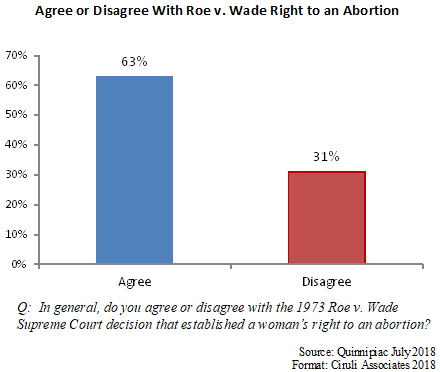 Although the vote against the amendment dropped to 65 percent in 2014 from 70 percent in 2010, I argue that a solid majority of Colorado and U.S. voters oppose overturning Roe v. Wade by 2-to-1. 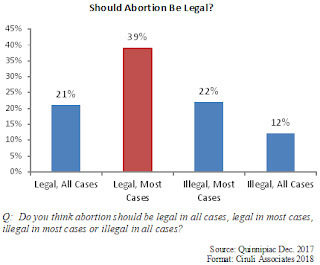 Although voters are more on the liberal side of abortion limits than the conservative, the issue still has a passionate minority that would overturn Roe and a majority of the public supports various restrictions, such as a waiting period and bans on late term abortions. The Denver Post has just lost two of its best political reporters as the political season ramps up. John Frank heads over to the latest online Colorado website, The Colorado Sun. Mark Matthews just took a job at an environmental and politics news site. The surprise of the Mexican election was not Andrés Manuel López Obrador’s (AMLO) majority victory (53%), but the sweep of his party, MORENA, in legislative seats and state governorships. The build-up demand for change corresponded to the largest election day in the country’s electoral history, with nine governorships, both houses of Congress, and several thousand state and local elections. Corruption, crime, and slow and unequal growth were the primary issues debated, with a desire for dramatic change, which AMLO represented. 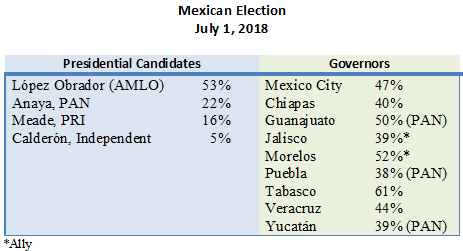 In a blog on May 9, 2018, I suggested that AMLO would win in a landslide in Mexico’s presidential election, which are often won with a plurality, but not control of the legislature. The MORENA party and allies won a majority in both legislative houses and could reached two-third majorities that could approve constitutional changes, such as changing presidential term limits (one six-year term). AMLO has dramatically raised expectations. Will his vague populist platform and diverse coalition sufficiently address the corruption, crime and growth issues? If not, will he become what many fear – authoritarian? Floyd Ciruli, Colorado’s premier pollster and political prognosticator, will reveal all at our barbeque/fundraiser. Can the Republicans elect Stapleton? Or will the Democrats elect Polis? Who will be the big winners and losers in 2018?